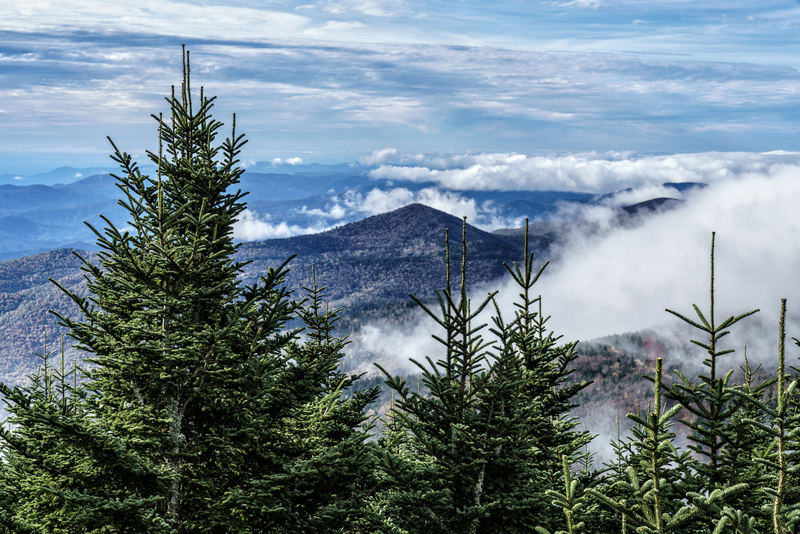 The morning drive up to the summit of Mount Mitchell, on my journey with my grandparents on the Blue Ridge Parkway this past October, took us through impenetrable fog. All we could see was the road. 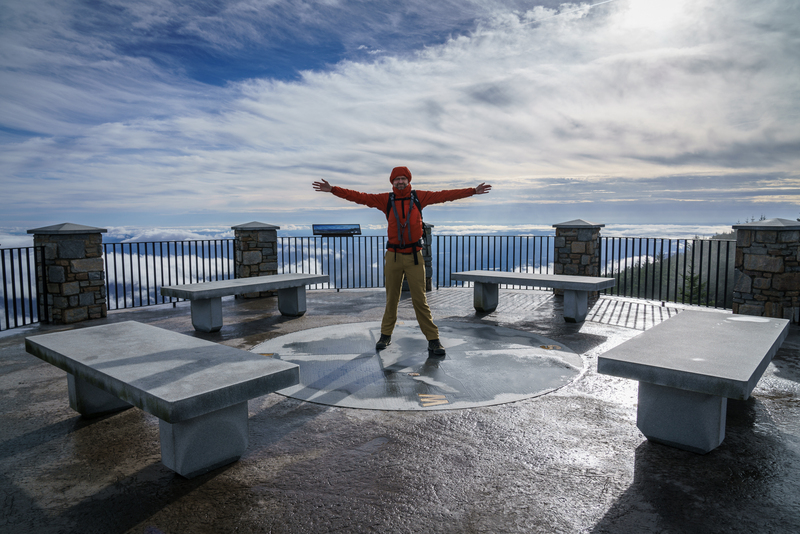 But at the summit of Mount Mitchell, the highest point east of the Mississippi River, the floating water vapor we had experienced as fog at lower elevations transformed into beautiful clouds swirling around the nearby mountain peaks. It was one of the most awesome sights, in the traditional sense of the word, of our vacation. I think these conifers bracketing the shot are firs, although I'm no arborist and stand a great chance of being wrong.